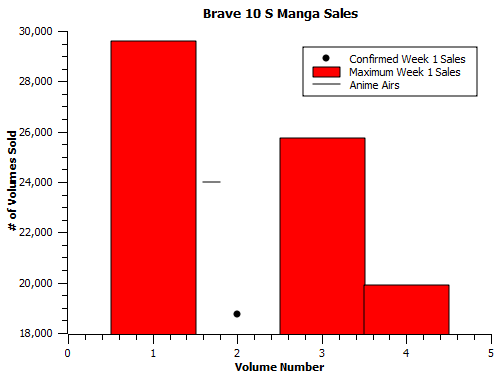 It’s important to note that a DNC does not immediately signify either crappy sales or no boost from the anime. 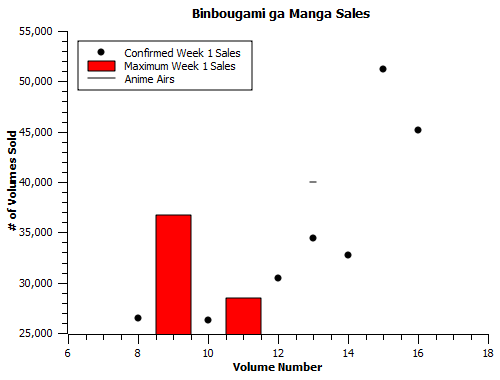 Hypothetically, a series selling 5000 copies per volume before the anime could sell 15,000 copies per volume afterwards, and we wouldn’t know about it (though if it were 30,000 or higher, we almost certainly would in the modern Oricon standings). 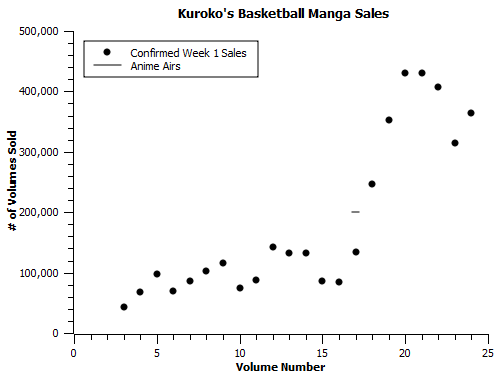 We can’t say whether these series got boosts or not, just that they didn’t get huge boosts. 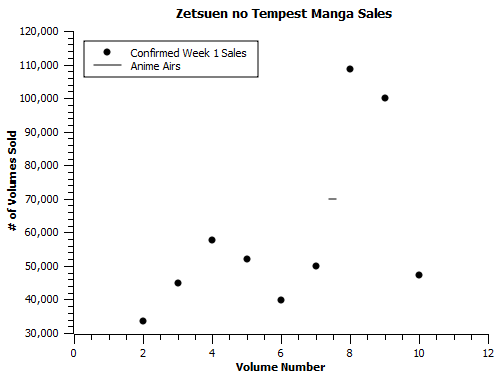 Incidentally, the situation with series that have later volumes chart is similar, in that we can’t say definitively whether they improved or not unless the improvement is above the maximum for previous volumes. 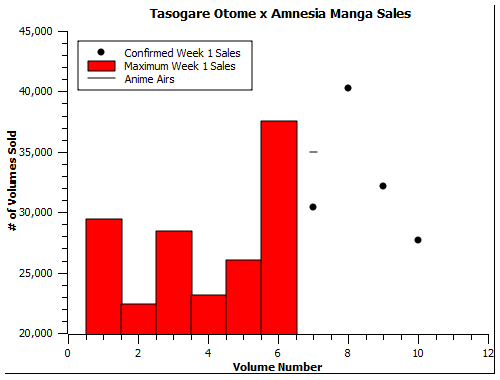 Tasogare Otome x Amnesia below is a good example of a case where there’s some visible (and real, I think) gain which you could make a plausible case against due to the exact thresholds for previous volumes. 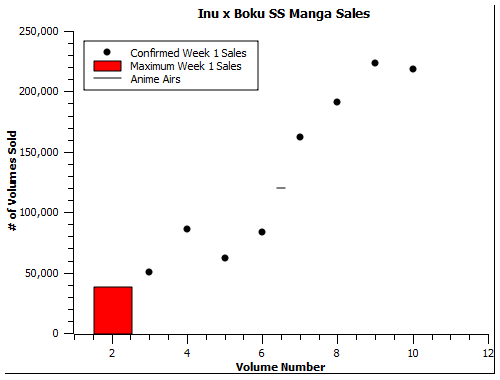 Another thing to note is that the gains the manga gets don’t manifest the instant the anime airs, but usually takes 2-3 months for people to catch up to and buy the current volumes. 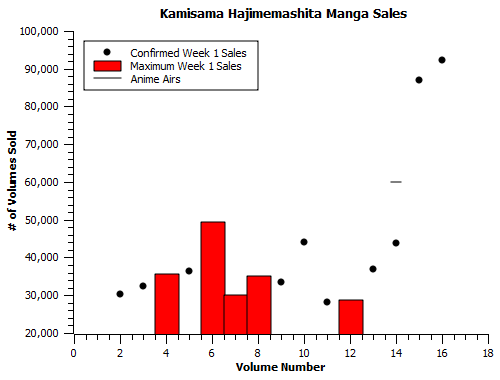 This was prevalent in the 2011 data, and is how I explain the several instances of anime airs->same sales for one volume->sudden, distinctive jump in the data below. 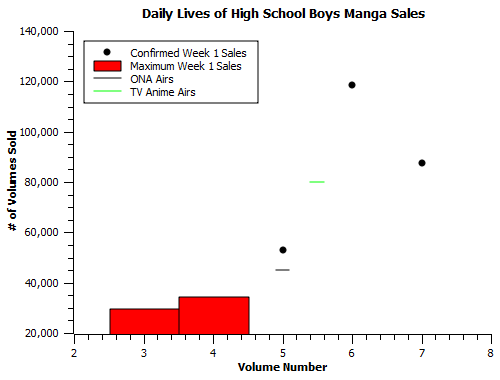 When series did produce immediate gains (Blue Exorcist in 2011, Daily Lives of High School Boys below), they were only a fraction of the totals later volumes would eventually attain. This isn’t a 1-to-1 relation, though. 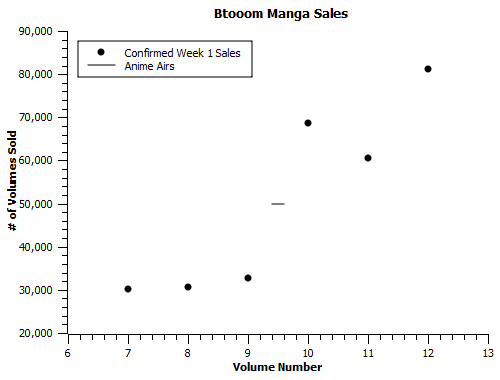 There are plenty of cases like Btooom, ranked in the 600s, producing a bigger sales gain than Binbougami ga, ranked in the 300s. 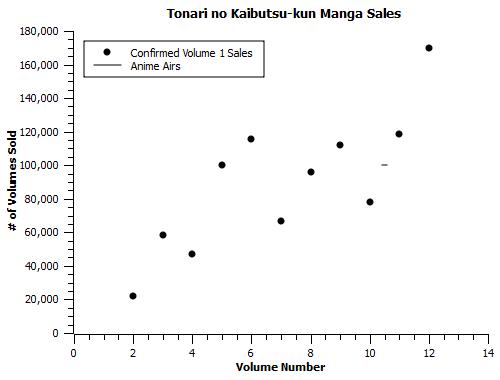 I handwaved that in the earlier Manga-Anime column by pointing out that the differences between 10 and 100 were a lot less than the differences between 100 and 1000 for any given toplist, and it should be noted in any future analysis that I’m considering the significance of mal ranks by tiers (eg. 1-500, 501-1000, etc. ), rather than by exact score. In general, this feels like an important bit of insight; much is made of the difference between Japanese and American fanbases, but what if most of that difference is really just the selection effects of a disposable income gap, rather than fundamental cultural differences between the two? 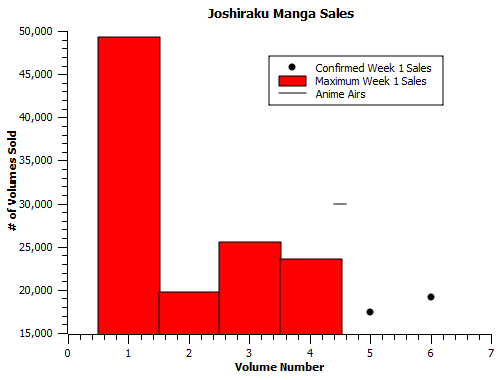 I still have to crunch some numbers to get an exact feel for what’s happening with both these and the 2011 manga adaptations, but I have plenty of raw data at this point. Expect to see a column looking into the issue in more depth sometime soon. 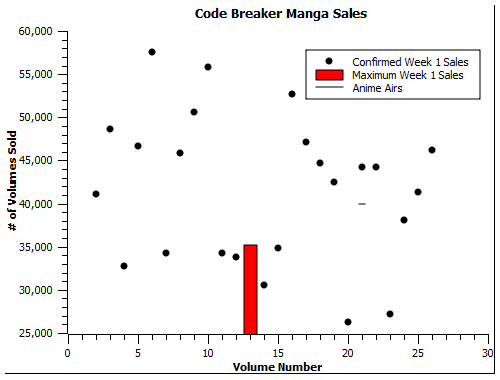 *Of those, Code Breaker’s chart is by far the saddest because it *never* really improved over 26 volumes. 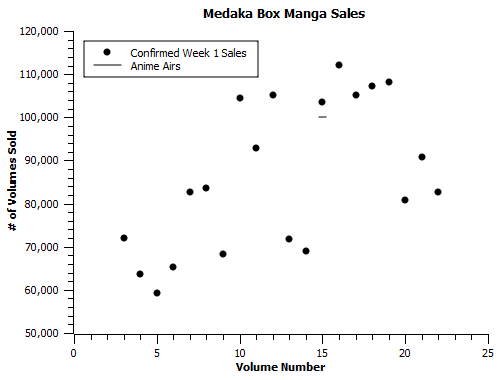 I would pity Kodansha more over that one if they weren’t currently rolling in dough courtesy of Weekly Shonen Jump’s most prominent rejection. 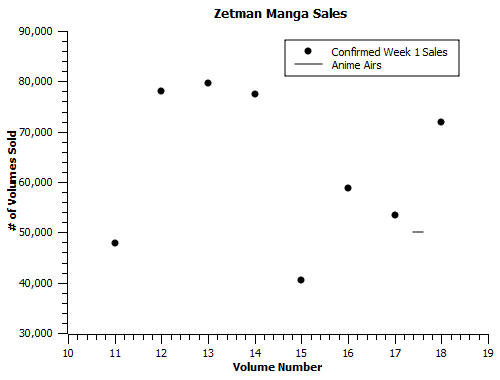 I mean, seriously, how crazy is it that WSJ would have had 19 of the year’s top 19 manga volumes (instead of the 9 they had) if not for the editing staff’s decision to give Hajime Isayama and AoT the rejection bin? 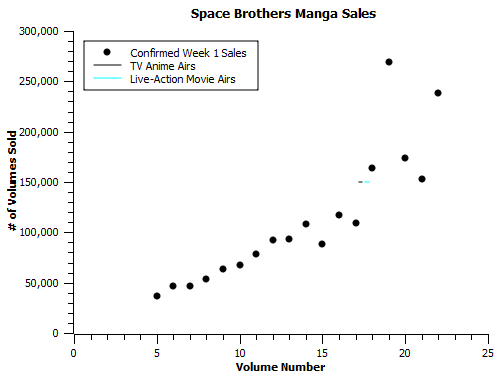 This entry was posted in Articles, Fun With Numbers and tagged Acchi Kocchi, Anime, Bingougami ga, Brave 10, Btooom, Code Breaker, Daily Lives of High School Boys, Dusk Maiden of Amnesia, Fun With Numbers, Inu x Boku SS, Jojo's Bizarre Adventure, Jormungand, Joshiraku, Kamisama Hajimemashita, Kill Me Baby, Kuroko's Basketball, Magi, Manga, Manga Sales, Medaka Box, myanimelist, myanimelist.net, Mysterious Girlfriend X, Natsuyuki Rondevous, Polar Bear Cafe, Recorder to Randsell, Sakamichi no Apollon, Sankarea, Space Brothers, Sukitte Iinayo, Tasogare Otome x Amnesia, Teekyuu, Thermae Romae, Tonari no Kaibutsu-kun, Upotte, Utakoi, Zetman, Zetsuen no Tempest by torisunanohokori. Bookmark the permalink. Have you consider using Japanese fan ratings on NicoNico instead of MAL rankings? 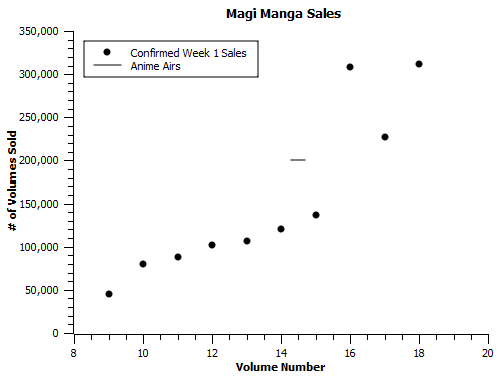 I wouldn’t use nico rankings *instead* of mal rankings; the two measure two presumably different things. 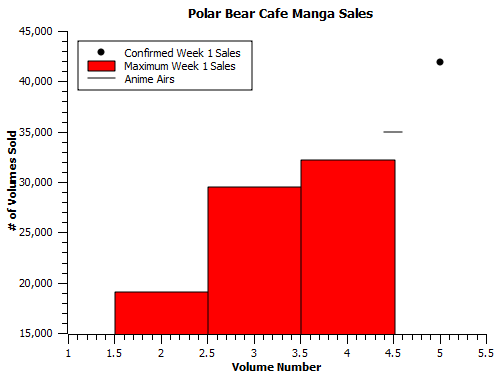 It would, however, be interesting to gather the nico data and then compare the two. 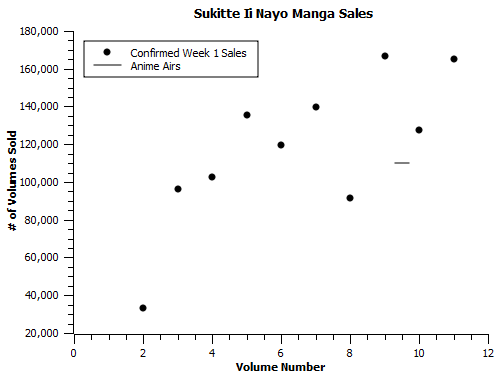 For one, I’m typically skeptical of the nico rankings’ ability to predict sales of manga or anime. 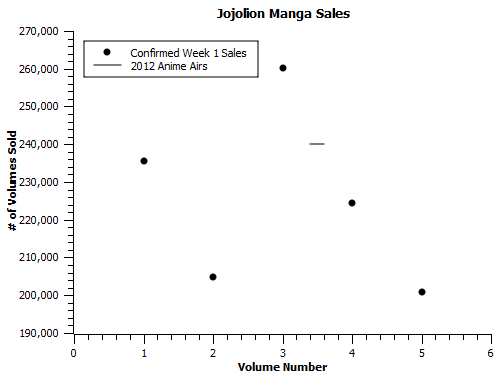 I see them quoted a lot in the sense that quantity A for show X is bigger than quantity B for show Y, but I haven’t seen any juxtaposition with outcomes thus far to indicate that they’re a robust predictor in either field. More specifically, it’s also possible that nico has a more male audience that considerably handicaps the ratings of shows aimed at female audiences. 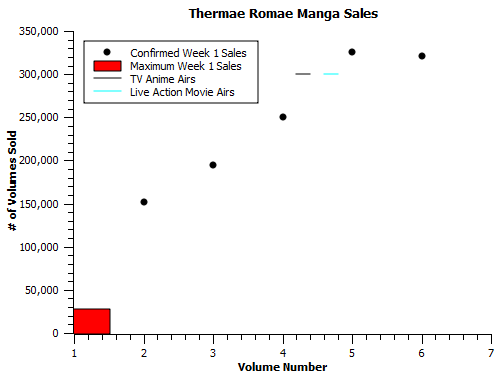 Testing that in the first place would be thorny, but it’s a relevant point; Noragami is close to last on niconico and dominating the charts on mal, and Hamatora goes from dead last to 6th overall in the same transition. All the above are unsubstantiated beliefs, and thus things that deserve to be tested. I’m just not sure if I’ll have the time to do so in the near future. 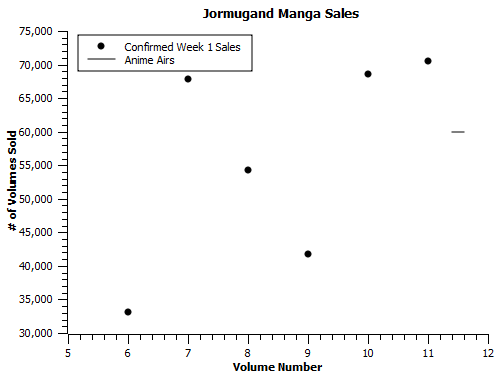 I was originally collecting mal rankings as a curiosity, and because they were relatively easy to harvest (it probably added 2 hours to what was about a 20 hour task back when I was pulling data on all this junk), and having that pair of single numbers makes them easy to compare with sales data. Irrespective of the 99 problems that site’s community has, it’s got a huge userbase that offers an unrivaled sample of data available on Western tastes, albeit not necessarily those of paying customers. That is excluding amazon, which is simply a wicked tough nut to crack. 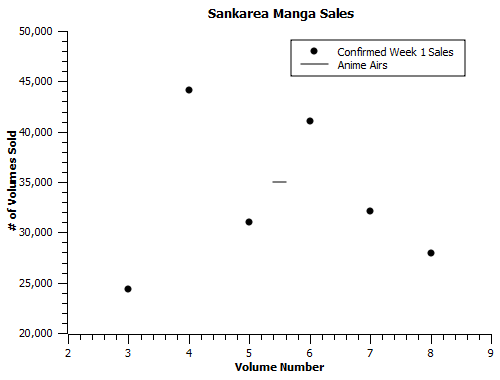 Part of doing good analysis is finding problems that will yield a good amount of insight for a moderate amount of time invested, and the overhead on collecting and making sense of nico data seems to be fairly high for a payoff as likely as not to be significant.